While 2018 was a down year for the Padres, one of their strengths was their bullpen. Even without Brad Hand for the second half of the season, Kirby Yates continued to be another diamond-in-the-rough find for A.J. Preller. Robert Stock and Trey Wingenter were two flamethrowers that had a darling rookie year. The bullpen had to essentially cover for a weak starting rotation, and sometimes the cracks did show. Even so, with so many free agent relief pitchers on the market, it is not a stretch for San Diego to reach out to one of them and power up their bullpen to an even higher level. Kelley certainly had his struggles during the regular season, pitching 65 2/3 innings and compiling a 4.39 ERA. His advanced numbers paint a bit of a better picture with a 3.57 FIP and 4.09 xFIP. However, he was an entirely different pitcher in the 2018 Postseason, pitching 11 1/3 innings and striking out 13 while not allowing a single runner to cross the plate. Many noticed that he looked like a different pitcher in the postseason, and his 98.1 mph fastball would pair nicely with Stock and Wingenter. He has upside, but his control issues could be a problem. He is also in very high demand after his postseason performance, which means a wealthier suitor would pry him away from the Padres if they offer him a more lucrative contract. 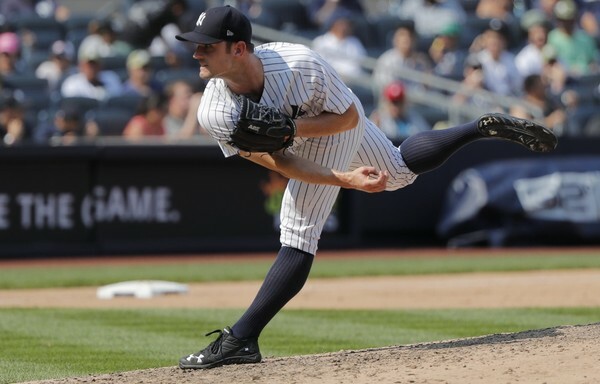 Yes, Robertson is going into his age 34 season once it hits 2019, but the former Yankees closer shows that Father Time has yet to catch up to him. Since 2010, Robertson has thrown over 60 innings with incredibly high strikeout rates. Even though he lost the closer spot after Aroldis Chapman entered the fold, Robertson was a reliable setup man who anchored the Yankees’ bullpen. However, he still has his concerns. While his FIP (2.97) and xFIP (3.09) graded out slightly lower than his ERA (3.23), he saw both his left on base percentage (89.4% to 67.5%) and groundball rate (47.1% to 45.3%) drop significantly while he allowed his highest hard contact rate since 2010, when he had a 38% hard-hit rate. He would also come with a decent price tag, but if the Padres want someone who can hold the fort down at the closer position or as a setup man, Robertson might just be their man. San Diego knows this pitcher after facing him numerous times in the regular season as a member of the division rival Colorado Rockies. After rebuilding himself after a disastrous 2017, Ottavino was arguably the best reliever in baseball, collecting a 2.43 ERA, 2.74 FIP, and a 3.13 xFIP with a strikeout rate of 12.98, as opposed to a walk rate of 4.17. 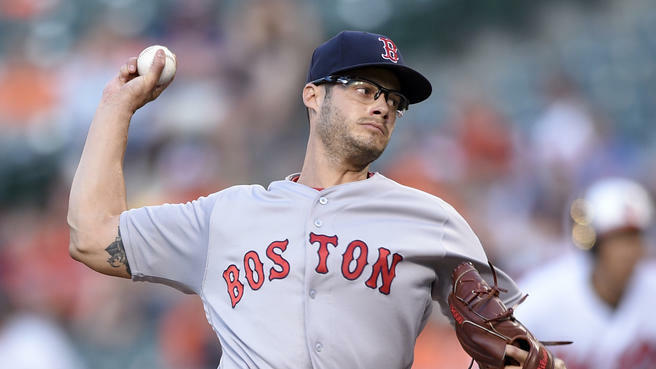 The 33-year-old lefty was ranked eighth amongst relievers in overall strikeout percentage (36.1%) and will have many suitors in the offseason. Ottavino does come with a few warning signs. Like Robertson, he has a lot of mileage in his right arm and has already undergone Tommy John surgery in the past. He has also had some up-and-down seasons, but the good has outweighed the bad. 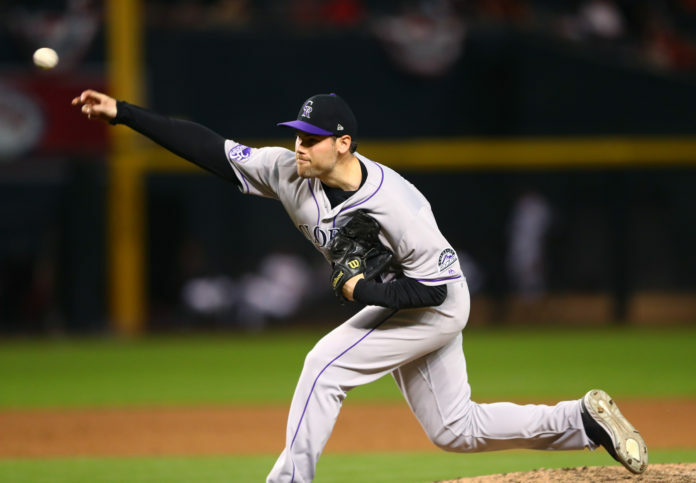 With suitors like the Yankees reportedly interested, it would take a lot to sign Ottavino, but it would be worth it to pair him with Craig Stammen as a setup reliever. Perhaps the most realistic reliever on the market to sign with San Diego, Herrera is coming off of surgery on the Lisfranc ligament in his left foot after being acquired by the Washington Nationals from his longtime team, the Kansas City Royals. 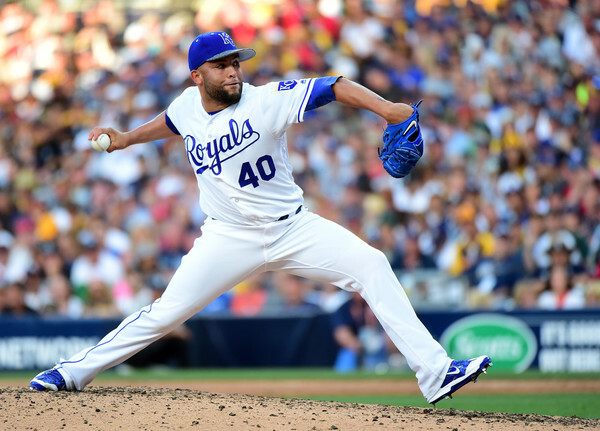 Herrera struggled with the Nationals to the tune of a 4.34 ERA and an even worse 5.34 FIP in 18 2/3 innings, a much different result from his time with the Royals where he posted a 1.05 ERA and a 2.69 FIP in 25 2/3 innings. It is still unknown when Herrera will be back in action, but since the surgery itself requires a lengthy period of recovery, Herrera can tentatively shoot for a midseason return if all the chips fall into place. With this in mind, Herrera will most likely sign a safe one-year deal to show that he is healthy and can pitch well, then chase after a multi-year deal. What better place to sign that than with the Padres, where Herrera will have plenty of time to recover and work with vaunted pitching coach Darren Balsley. This one may be a bit controversial. Familia has had a checkered past after being suspended for 15 games after violating MLB’s domestic violence policy, then missing time with a shoulder injury in June, although he only had to miss the minimal 10 days. With the New York Mets out of contention, he was shipped off to the Oakland A’s in a July trade and brought stability to the A’s bullpen by serving as an effective closer. With the Mets and A’s, Familia pitched a combined 72 innings with a 3.13 ERA, 2.63 FIP, and a 3.53 xFIP while setting a career high with a 10.38 K/9. He also saw improvement in both his left on base percentage (74.6%) and HR/FB rates (4.8%), but at the cost of a career-low groundball rate (46.3%). His past will always follow him wherever he goes, but his career numbers cannot be denied. He will carry a high price tag, but Familia will get paid by someone, even if it isn’t the Padres. I have to agree with the other Paul, too much fiction. Sure, I guess these are true. Now EVT only needs to cover about 200 more players that can possibly contribute to the Padres, so I guess we have around 100 more articles coming, right? How about writing an article which analyzes something other than fictional additions? Not your fault entirely but this sort of thing is beginning to wear out Bleacher Report (which already has a tenuous grasp on reality). At the least , you’re not posting every week about our prospect system which at this point is as over-reported as well…. our prospect system. Dig deeper???? ?